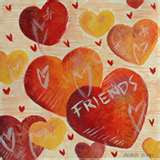 Created for the Wednesday Stamper Challenge. The background was sponged with Distress Ink in Antique Linen, Milled Lavender and Dusty Concord. 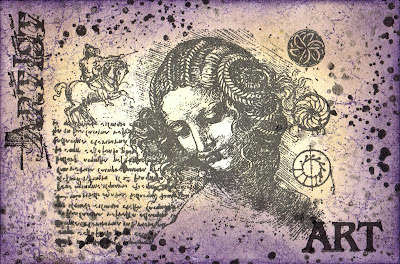 The Da Vinci image was then stamped in StazOn Stone Grey which was then masked and a crackle stamped onto the background in Dusty Concord. Finally the Artist & Art texts were stamped down the side and along the bottom of the card, and inkk splatters randomly around it. 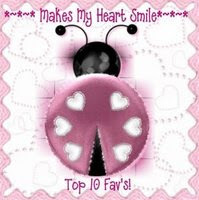 Created for the TMTA Challenge where the theme is buttons. The background was made using a scrap piece of card left from another project, and a piece of torn script paper. Over this the PaperWhimsy collage image was applied, then a small butterfly and the text. The edges were inked in Broken China Distress ink. Next a piece of white lace was coloured with Glimmer Mist in Patina. This was attached, and small buttons added on top of it to embellish. 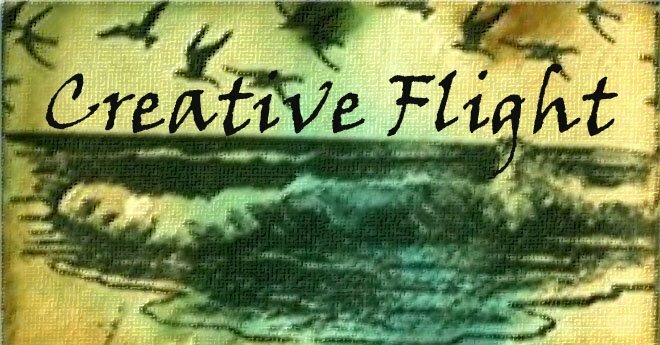 Tag created for the Mixed Media Monday Challenge where the theme is wings. 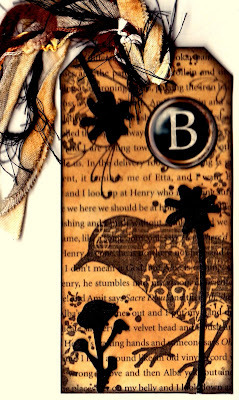 A tag was covered with an old book page and coloured with Distress Ink in Tea Dye. 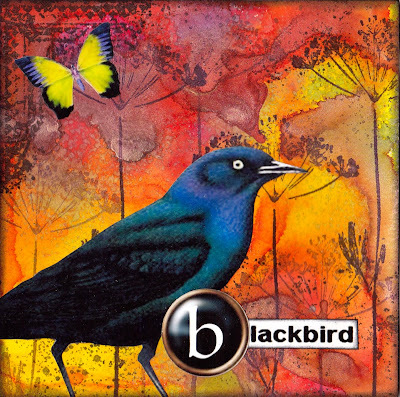 The Tim Holtz bird was then stamped in Versafine Black, and a floral stamp in around the edges. Grungeboard flowers were also coloured in black ink and added, and matching fibres tied at the top. 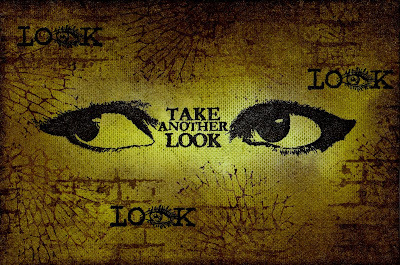 Created for the Sunday Postcard Challenge where the theme is eyes. The background was created by sponging the entire card with Lettuce ink, then sponging over the top of this with Oregano ink around the edges. A little Distress ink in Dusty Concord was also sponged randomly near the centre. The whole thing was then stamped over with a linen effect background in Lettuce. Next the eyes were stamped in the centre using Versafine Black. After this, a brick wall stamp was used in the background in Oregano, and a crackle in StazOn Royal Purple. Finally, the text stamp was used 3 times in Black, and the piece edged with Dusty Concord. 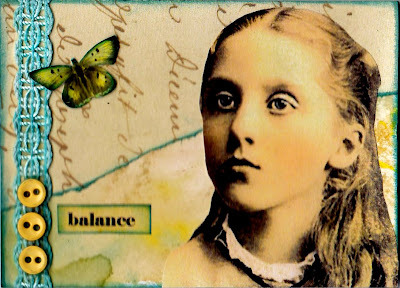 Created for a swap and also fits this week's Mixed Media Monday theme "Something New". New because it is part of a collaborative paper bag book swap, which is something I haven't made before, and it also include some of my new collage images. The background was created using Sticky Fingers sprays in Poppy & Buttercup, plus some Sticky Fingers Lustre Spray in Aubergine. On top of this, I stamped a Hero Arts Flower in StazOn Royal Purple, the Tim Holtz corner in Versafine black, and added also some ink splatters / dots also in black. 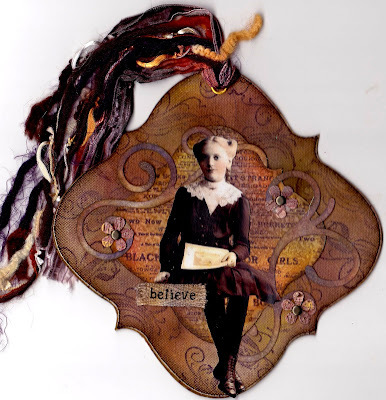 The collage images were then added and the whole piece edged with Black soot Distress Ink. 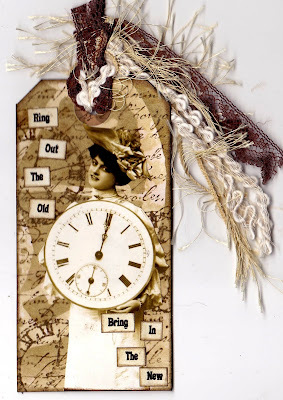 The background was achieved by lightly sponging a manilla tag with Distress Ink in Frayed Burlap, then using a Tim Holtz Clock mask, and sponging again with Frayed Burlap. Next a French Text was stamped using Walnut Stain, and a few Tim Holtz Clocks also in Walnut Stain. The collage image was then applied, and computer generated text sponged in coordinating colours. Fibres were added to finish. Created for a challenge. I used a sizzix die to create the tag shape. The larger shape was cut from canvas paper, then rubbed with Distress pads in Walnut Stain & Dusty Concord. This was then spritzed, then sprayed with a little Antique Gold spray. Finished by sponging on a little Mustard Seed ink. The centre piece was sponged with Dusty Concord, Mustared Seed and Fired Brick, before stamping with a text in StazOn Royal Purple. Walnut Stain was sponged around the edges, and then it was also sprayed with Antique gold. The flourishes are sizzlets die cuts. Cut from cream card, then sponged with the same colours as above. The flourishes were attached, followed by a Paper Whimsy image. Flowers were punched from a sheet of faux rust paper I had made and brads placed through the centre, and finally a text ribbon was coloured and an eyelet placed through the top of the tag before adding various fibres. Created for a both the Crazy Amigo & the Created By Hand Challenges. The background was created using Antique Linen & Opailite Frost. This was then stamped with snowflakes in Aspen Chalk ink, then the branches, bird, dots and more snowflakes in StazOn Stone Grey. Embellished with computer generated letters and grungeboard. The grungeboard was painted with cream acrylic and crackel accents which were highlighted with Walnut Stain & Dusty Concord ink. Dusty Concord was also used around the edges of the card. Created for the TMTA Challenge. The background was created firstly by sponging with Distress ink in Antique Linen, then adding some Blue Opalite to make it shimmer. Next it was stamped randomly with snow dots and snowflakes in Aspen chalk ink. 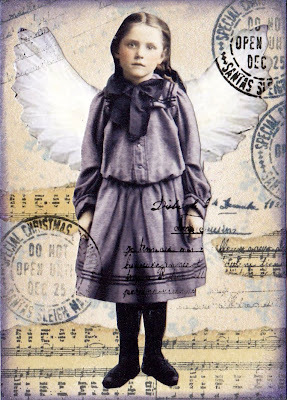 A paper whimsy image was cut out and given some angel wings (internet image). Torn paper was sponged with Antique Linen, then stamped with a tiny Christmas music script in StazOn Stone Grey. 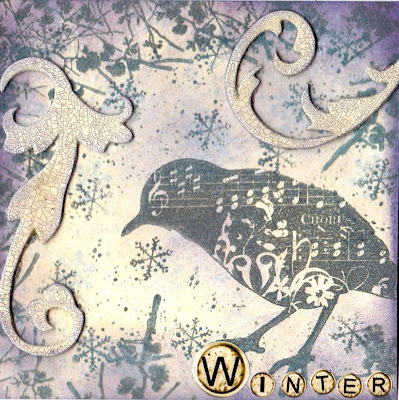 Music and angel were added to the background, and the piece was finished by stamping some Christmas post marks in Stone Grey, and sponging the edges in Dusty Concord.